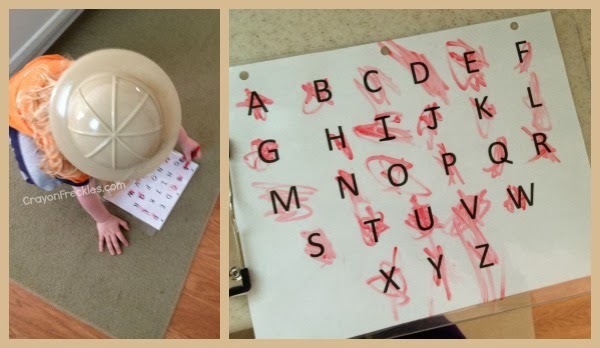 we used the laminated alphabet sheet that i created for our milk caps alphabet activity last year. 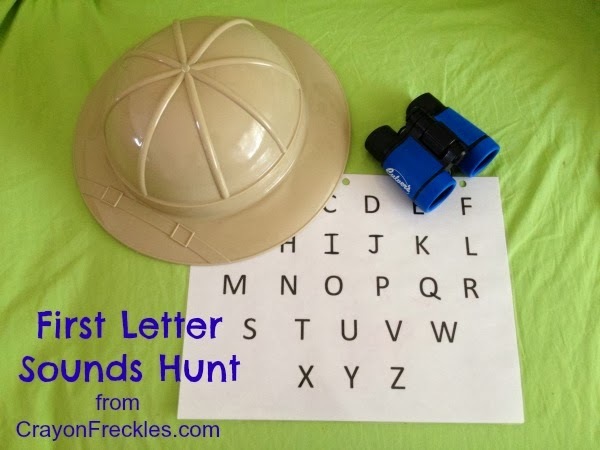 Bear put it on a clipboard and went around the house trying to find items that started with each letter. after he found each item he either brought it to me or came and told me about it so i could verify that he'd gotten the right letter. then he would cross off the appropriate letter with a dry erase marker. he really got into the activity, right down to going and getting his pith helmet to wear. after he went through the alphabet once, he wiped off all the marker and did it again. i think it's safe to say that he loved his almost as much as our letter sounds scavenger hunt from a couple years ago. what are some of your favorite ways to teaching reading skills? What fun! I love the safari hat and binoculars. They make the activity so much fun!